It is very important to note here that these figures represent the national average (median) for web developer salaries, and does not reflect true income averages for any particular state, like California. Employers typically raise or lower wages based on the cost of living. California currently ranks fifth most expensive state in the nation to live in (2014 data)2 with a 27% higher than the national average’s cost of living. So California web developers have an adjusted median average salary of $79,375, which is much more consistent with the job offerings in California – especially in tech hubs like Los Angeles and Irvine. How it feels coding by yourself. Absolutely not. The first three weeks of coding bootcamp will bring you up to speed by building a solid foundation of front-end and back-end coding skills. Starting on day one, you’ll be using our web-based, custom learning platform which will enable you to begin coding immediately. We break developer skill-sets into small, digestible pieces. You will learn by monitored trial-and-error to master basic and intermediate functions. “I’ve taken other web developer courses before and I didn’t really get anything out of them or learn much. Why should I invest in your program? Unlike lecture-based and content-driven schools and courses out there which foster passive learning, we integrate active learning processes and follow a skill-driven model. This means that from Day 1 all the way to Day 90, you’ll be fully immersed in developing applications while implementing industry-standard software development methodologies and standards. Our instructors will monitor your progress and success on a one-on-one basis beginning week four all the way until you graduate the coding bootcamp. Our teaching philosophy is in many respects based upon the scientific research of the Dreyfus Five-Stage Model of Skills Acquisition. We look through the lens of this research when determining each incoming student’s web development experience and adjust their learning expectations and goals accordingly. When providing guidance to our students, we prepare them on an individual basis to move into a higher skill level by pushing goals and expectations just slightly outside of their current proficiency level. This creates challenging (but attainable) objectives for the student to reach in short timeframes. Our friendly and experienced instructors, modern facilities, and learning platform software are what allow us to effectively mentor our students to reach web development proficiency within our coding bootcamp. If you are truly serious about acquiring legitimate web development skill-sets that you can take with you into a prospective career immediately after completion, then we are confident our program will provide you the right learning environment. 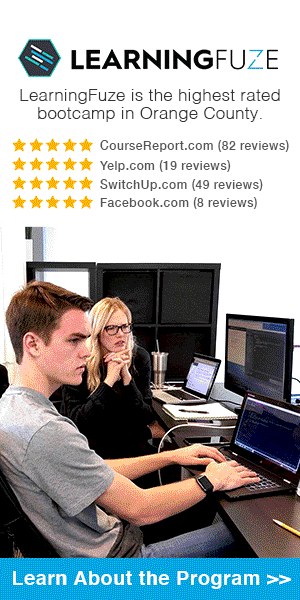 “I’m not sure about the cost of your coding bootcamp. Couldn’t I just learn from tutorials online? Or take community college courses? We’ve talked to dozens of graduates and students from other colleges and trade schools and they’ve all told us the same thing – they didn’t learn what they needed to be successful in the modern workforce. And I concur. In essence, we teach you not only what you need to know to thrive in the modern workforce, but how to evolve over time to move from merely competent to becoming an expert in the web development field. You simply can’t find a better coding bootcamp outside of San Francisco or NYC, where developer bootcamps cost up to $20,000. We’re located in the center of tech-hub Irvine where all the developer jobs are! 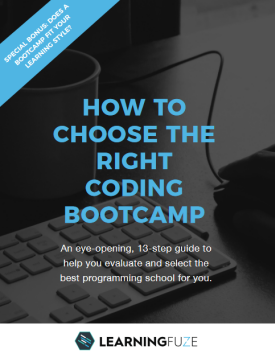 If you’re almost convinced about enrolling in a coding bootcamp, but would like to know more about us, you should attend one of our Open Houses – check here to sign up for the next one. If one isn’t listed, then please contact us or call and ask us when we are having our next one.